Economy SSW Fine Tagging Guns are a wonderful solution when you need an economical way to tag your merchandise and get it ready for the sales floor. 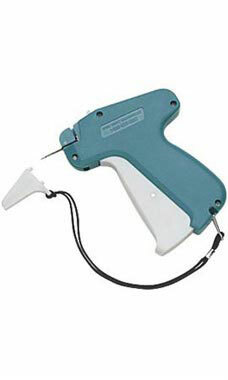 The smooth action of the tagging gun lets you breeze through you toughest tagging tasks without fatigue. The fine all steel needle that comes with the gun has a blade built into the needle for a smooth fastener cut each time.